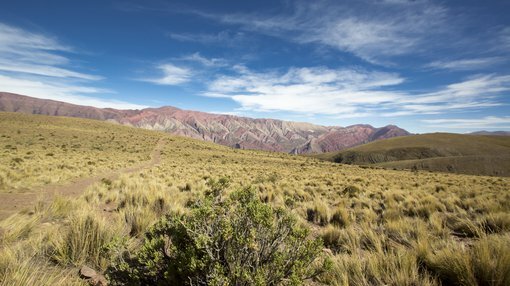 American Pacific Borate and Lithium Ltd (ASX:ABR) has provided an update on its progress as it seeks to complete the definitive feasibility study (DFS) for its Fort Cady Borate Project in the December quarter of 2018. As a backdrop, the Fort Cady project is in Southern California, and the resource is a highly rare and large colemanite deposit with substantial lithium potential. It is the largest known contained borate occurrence in the world not owned by the two major borate producers Rio Tinto (ASX:RIO) and Turkish state-owned Eti Maden. The JORC Resource at Fort Cady has 13.9 Mt of contained boric acid. ABR has met a number of major milestones in the last month, including finalisation of site layout and discussions with potential partners with respect to the sale of boric acid and gypsum once in production. Management also said that positive discussions with regulatory bodies regarding project support and permitting were ongoing. The company has established a timeline that projects first production in the fourth quarter of 2020, representing a comparatively swift transition from construction to production. While this is subject to financing and permitting, the following timetable provides a comprehensive outline of the company’s goals and development schedule. Commenting on these developments, ABR Managing Director Michael Schlumpberger said, “The DFS for our Fort Cady Borate Mine remains on target for completion in Q4 CY2018. “We have now finalised our site layout that is consistent with our approved Plan of Operations (mining permit). “We are pleased to be targeting, subject to financing and final permitting, the commencement of production in Q4, CY2020. It is worth noting that this is an early stage play and investors should seek professional financial advice if considering this company for their portfolio. Of course, as is the case with any commodity, having a buyer for your product is essential and management had some interesting comments to make on this note. As mentioned, the company continues to have positive discussions with potential partners for the sale of boric acid and gypsum. In particular though, management is encouraged by its gypsum discussions and believes there is a large Californian market that can potentially absorb its by-product gypsum at full production. In addition to discussions with respect to boric acid and gypsum, ABR is considering the option of selling by-product hydrochloric acid (HCl) from its potassium sulphate (SOP) production. Discussions are progressing with large users of HCl in California that have the potential of underwriting an increase in SOP production. Whilst discussions are at a preliminary stage, the company is considering options of decoupling the SOP production from the broader project with a view to financing that element of the project via alternate means. This could potentially have a positive benefit on project financing, an important factor in derisking the development process, and quite often a share price catalyst.